3,655 sq ft; lot: 15246 sq ft - MLS# 1629524 Courtesy of Shorewest Realtors, Inc. 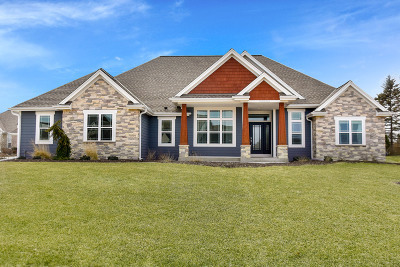 Stunning main level former model custom built by Joseph Douglas Homes in Spencers Pass West! Attractive multi-gabled facade with stone accents and covered entry presents a welcoming curb presence. 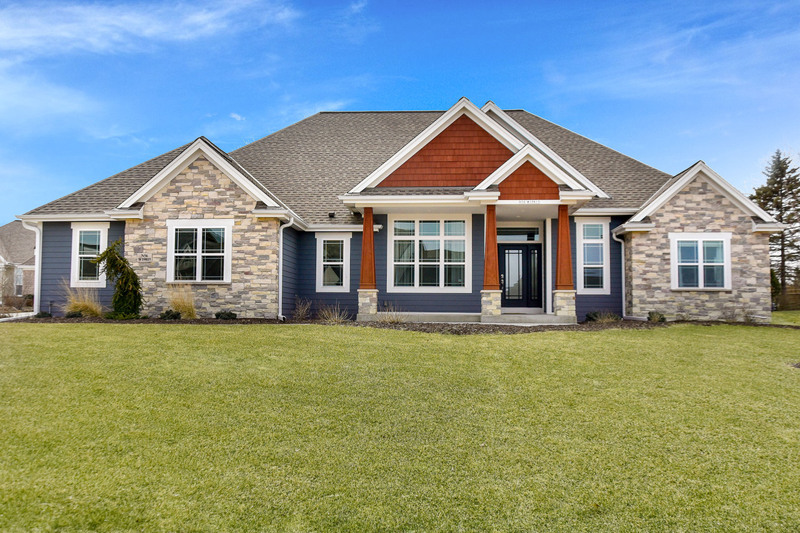 Step inside this beautiful craftsman-inspired split design ranch and you will feel right at home! Outstanding great room opens to a dream kitchen. Split bedroom plan with luxurious master suite. Recently completed lower level has party bar, office/den, 4th bedroom and full bath! Hamilton Schools are a plus. Great house, great home!